We’d love your help. Let us know what’s wrong with this preview of Media Literacies by Michael Hoechsmann. Updates traditional models of media literacy by examining how digital media is utilized in today Media Literacies: A Critical Introduction traces the history of media literacy and grapples with the fresh challenges posed by the convergent media of the 21st century. The book provides a much-needed guide to what it means to be literate in today’s media-saturated environment. To ask other readers questions about Media Literacies, please sign up. There are times when you go back to a text that is related to your academic studies and get a little excited. Sometimes it's not the text itself but that you find that you have still been thinking about these things as you go along. This book is one of those. My undergrad was Directed interdisciplinary studies (technology, science and mass communications) because there were no internet studies at that time. In order to fill out the roster, I took a lot of classes on science (history of, philosopy There are times when you go back to a text that is related to your academic studies and get a little excited. Sometimes it's not the text itself but that you find that you have still been thinking about these things as you go along. This book is one of those. My undergrad was Directed interdisciplinary studies (technology, science and mass communications) because there were no internet studies at that time. In order to fill out the roster, I took a lot of classes on science (history of, philosopy of, ancient) and I miss exercising some of those skills. 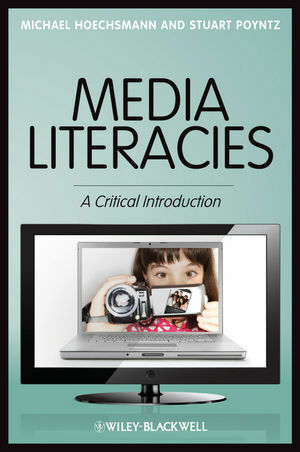 This book is about understanding media literacy with a focus on teaching media literacies. As I went through this book, I found that my growing up in a small town caused me some discomfort with some of the descriptions of how mass media was and the current description of 2.0. Not because there was something wrong with their description and take but rather that it seemed to narrowly define what was going on at that time. I am not sure if I agree with this assessment or if my reading is even correct. I need to sit with this for a while. The other uncomfortable issue that I have is with calling the viewer or participant a consumer. I feel that if you are going to use this term in the modern consumption of media that it should equally be used in historic terms. We should talk about the effect of consuming Shakespeare's plays, consuming Michaelangelo, consuming classical music. It appears that when we talk about mass culture, (mass being middle class or lower entertainment) we talk about consumption but leave the crass consumer language alone when talking about privileged entertainment. I think it helps to talk about the fact that Mikey was a kept artist, Shakespeare was trying to make some cash for his company and many classical musicians were just guys for hire playing for rich people.